Let go of your fashion fears! 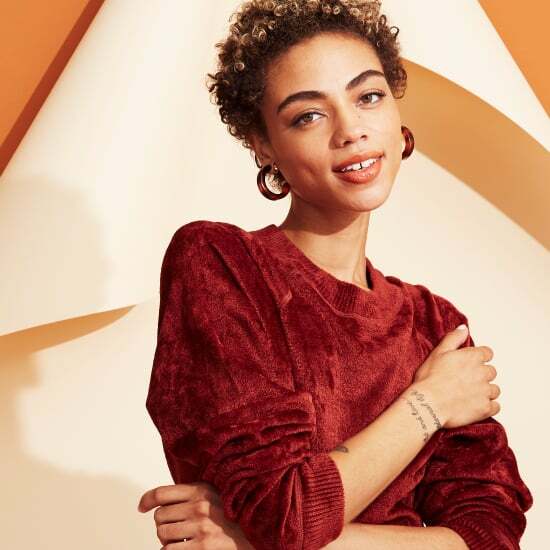 We've partnered with Bloomingdale's to show you how to pull off Spring staples from Eileen Fisher like a true style expert. We all have those shapes and styles we're unsure will work on our body type or be a natural fit with our existing wardrobe. But this Spring, it's time to cast any doubts aside. Wide-leg pants? Long layers? You name it, we'll show you how to conquer it! The important thing to note is that unique silhouettes work best in neutral hues and easy fabrics — the more straightforward the piece, the easier it is to wear. Keep reading to learn how to approach four alternative shapes with total confidence. Don't overlook this one key silhouette. A square-cut, kimono style jacket will become your new Spring go-to when you realize how universal it is. The dark indigo color feels fresh, especially when combined with equally clean and crisp separates in light hues, like white cropped skinny jeans. Round out your look with a trendy accessory, like white mule slides, for a sophisticated effect. Wearing a dress and jeans together may seem like an imposing outfit tactic used by only the most seasoned of style stars and runway models, but trust us — it's not as out of reach as it seems. To help make it more of an approachable, everyday look, try a breezy pairing in soft, monochromatic tones. 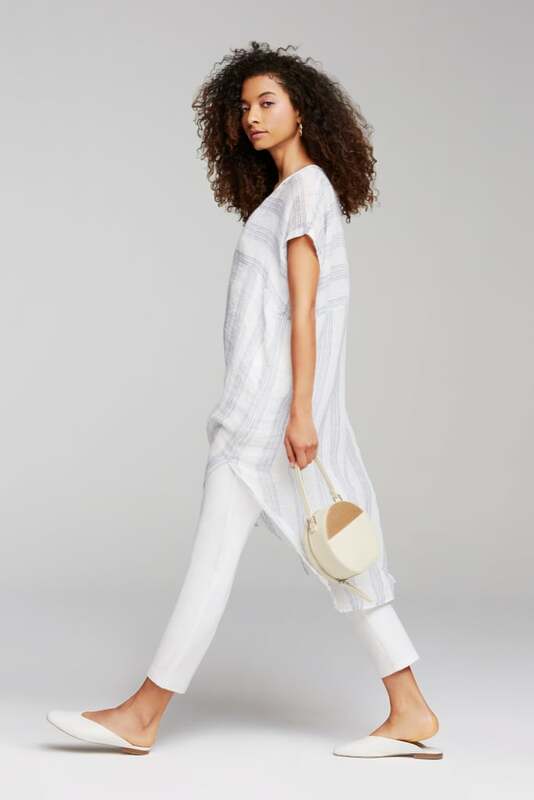 A lightweight shirtdress matched with white jeans is easy and effortless and a far cry from anything contrived. Keep the look simple with just a few seasonal staples like a straw bag and flat mules. 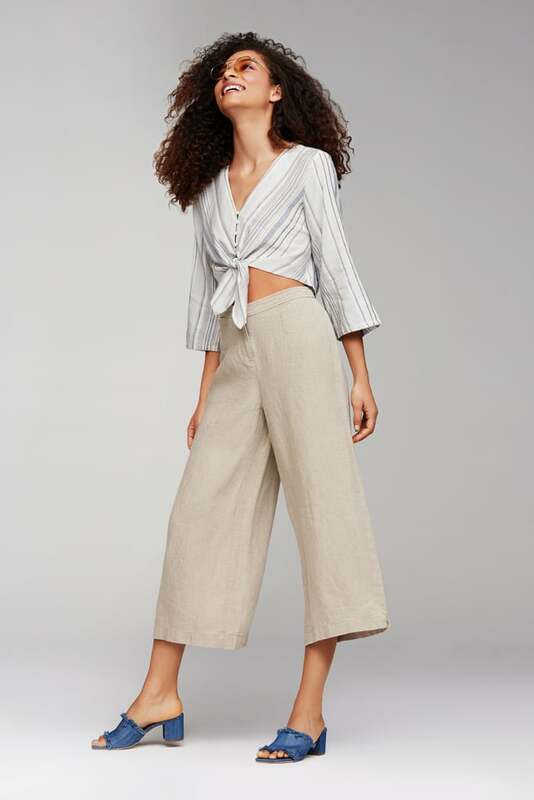 Wide-leg cropped pants, especially in a cream color, are one of the season's must-have pieces, and despite what you may think, they're incredibly flattering and easy to wear. If you're unsure about rocking such a voluminous shape, select a pair of wide-leg pants that come up high on the waist and show off a sliver of ankle at the narrowest part of your leg to give the illusion of long limbs. Then, combine them with pieces that draw attention to those areas, like a cropped top and heeled mules. If you think a relaxed jumpsuit is a little too, well, relaxed, make no mistake — it can easily be dressed up to look polished. 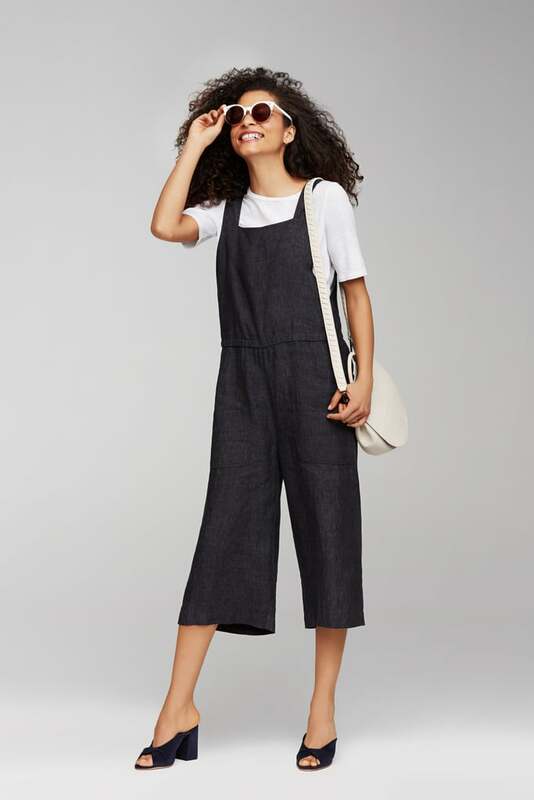 To balance out the billowy fabric on this linen jumpsuit, wear it with tailored, architectural pieces like a crisp white shirt, knotted mules, and a top-handle bag, all in a clean navy and white palette.